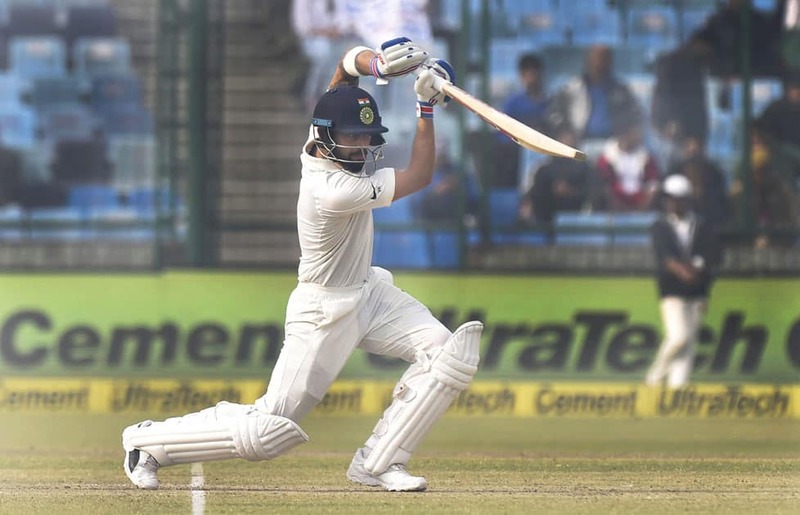 Indian skipper Virat Kohli in action on Day 2 of the third test match between India and Sri Lanka at Feroz Shah Kotla Stadium in New Delhi. 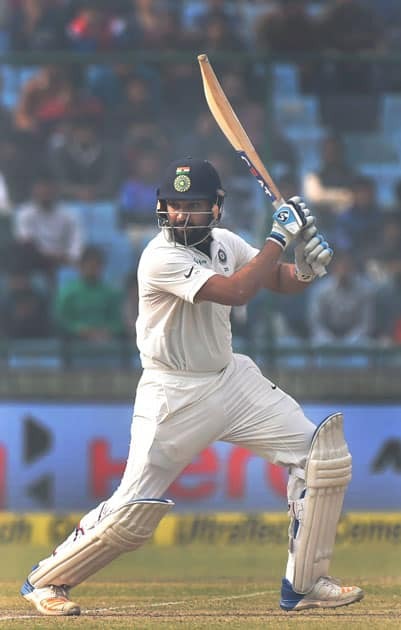 India's Rohit Sharma during Day 2 of the third test match between India and Sri Lanka at Feroz Shah Kotla Stadium in New Delhi. 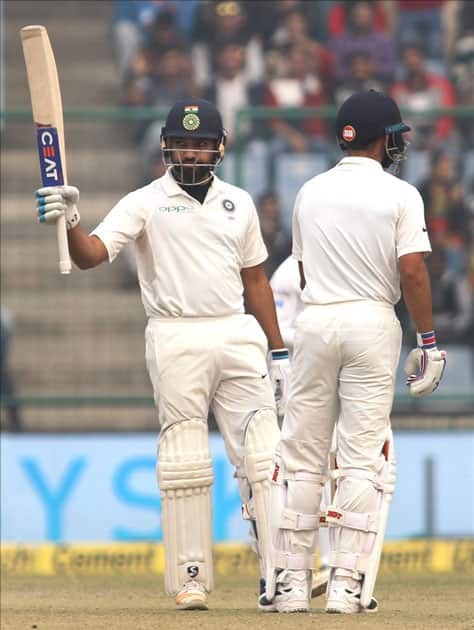 India's Rohit Sharma celebrates his half-century on Day 2 of the third test match between India and Sri Lanka at Feroz Shah Kotla Stadium in New Delhi. 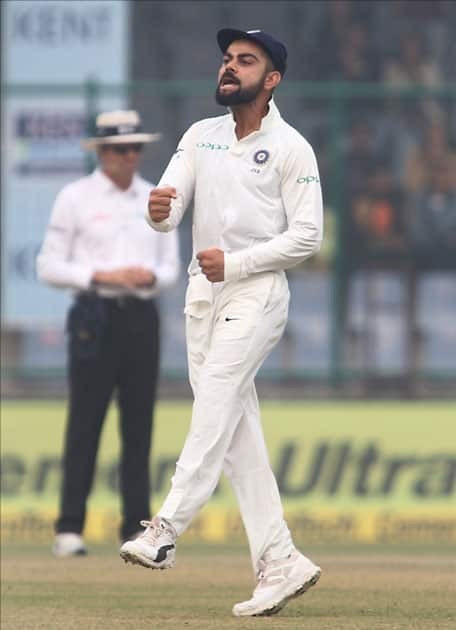 Indian skipper Virat Kohli during Day 2 of the third test match between India and Sri Lanka at Feroz Shah Kotla Stadium in New Delhi. 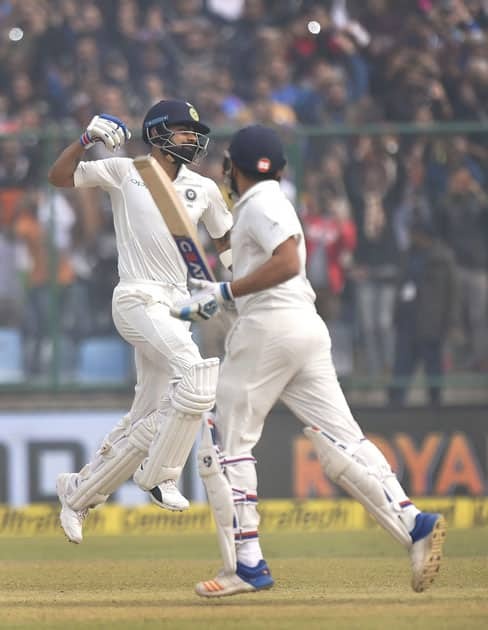 India's Virat Kohli exults after his double century against Sri Lanka as teammate Rohit Sharma looks on, during the second day of the third cricket test match at Feroz Shah Kotla, in New Delhi. 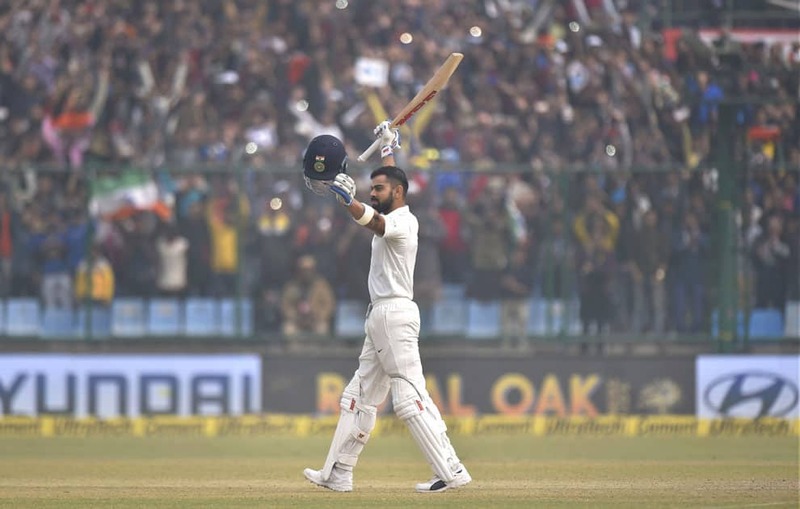 India's Virat Kohli celebrates his double century against Sri Lanka during the second day of the third cricket test match at Feroz Shah Kotla, in New Delhi. 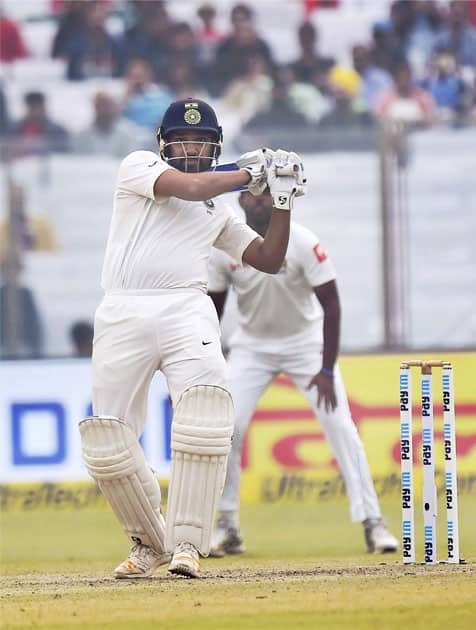 India's Rohit Sharma plays a shot during the second day of the third cricket test match against Sri Lanka at Feroz Shah Kotla, in New Delhi. 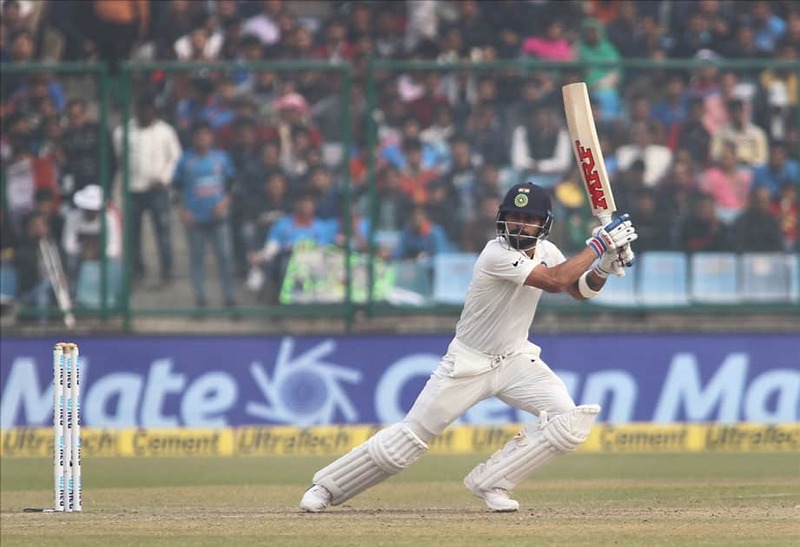 India's Virat Kohli plays a shot during the second day of the third cricket test match against Sri Lanka at Feroz Shah Kotla, in New Delhi. 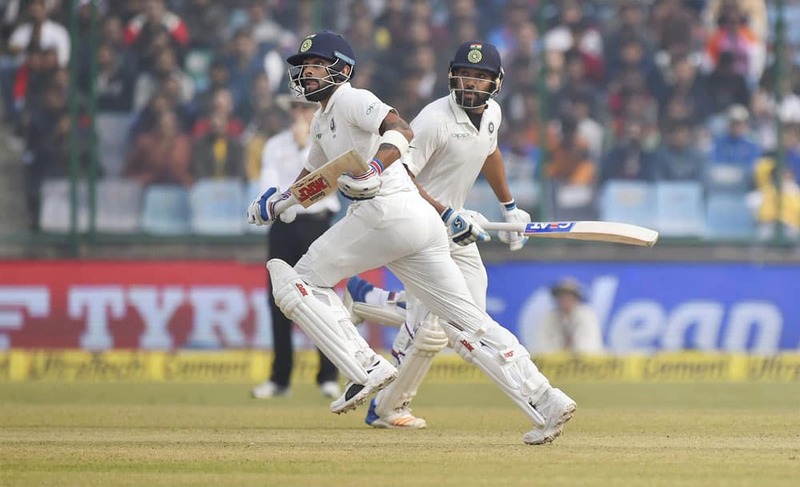 India's Virat Kohli and Rohit Sharma take runs during the second day of the third cricket test match against Sri Lanka, at Feroz Shah Kotla, in New Delhi. 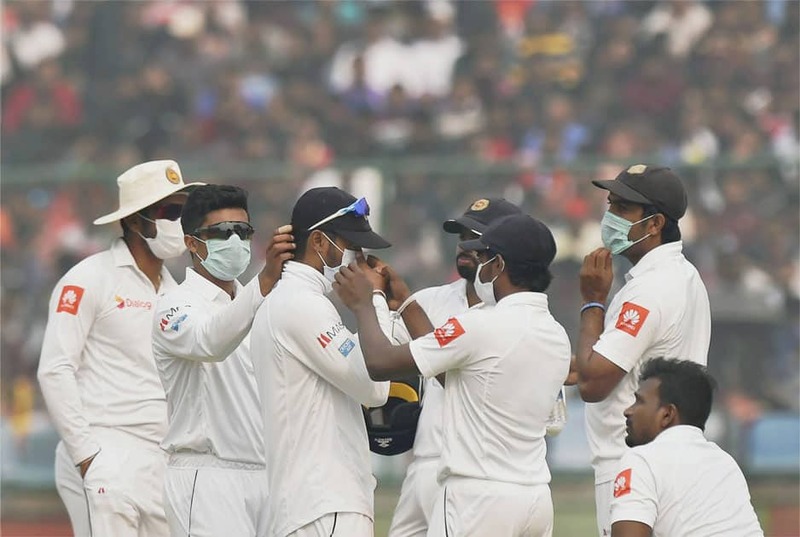 Sri Lankan players wear anti-pollution masks on the field, as the air quality deteriorates during the second day of their third test cricket match against India in New Delhi. 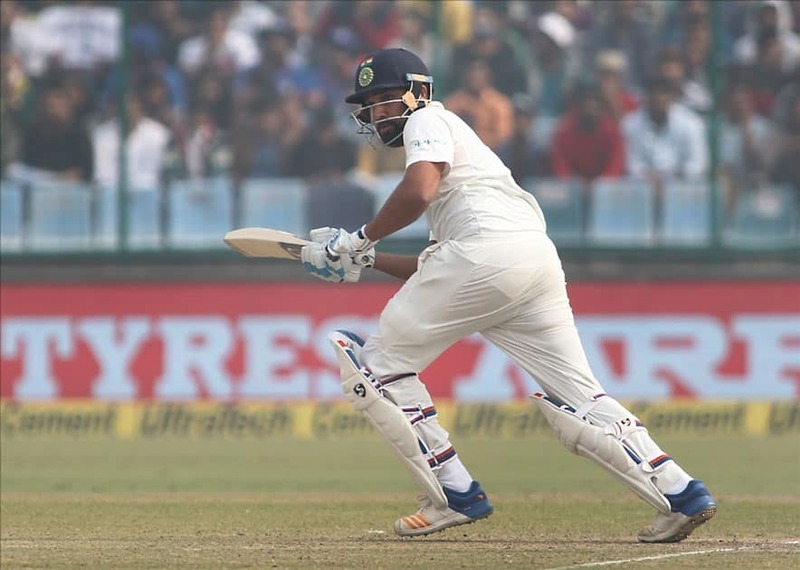 India's Rohit Sharma plays a shot against Sri Lanka during the second day of the third cricket test match at Feroz Shah Kotla, in New Delhi. 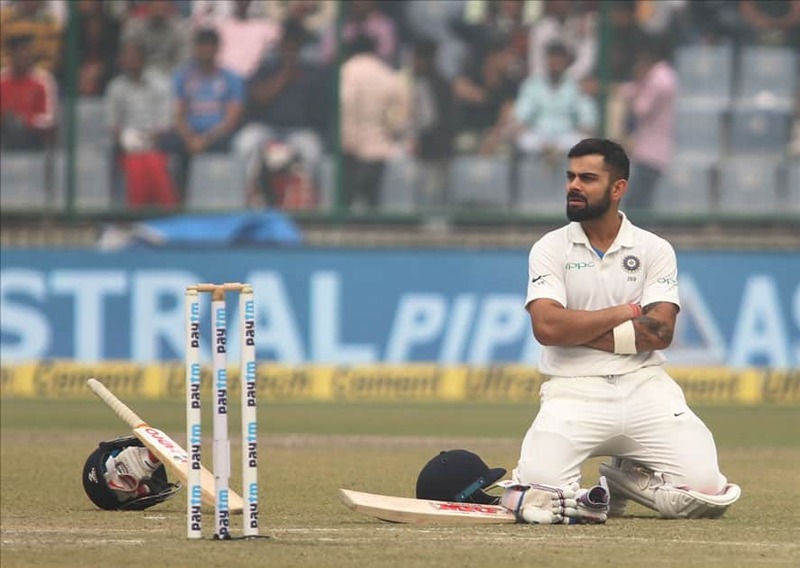 Indian captain Virat Kohli celebrates fall of Dimuth Karunaratne's wicket on Day 2 of the third test match between India and Sri Lanka at Feroz Shah Kotla Stadium in New Delhi. 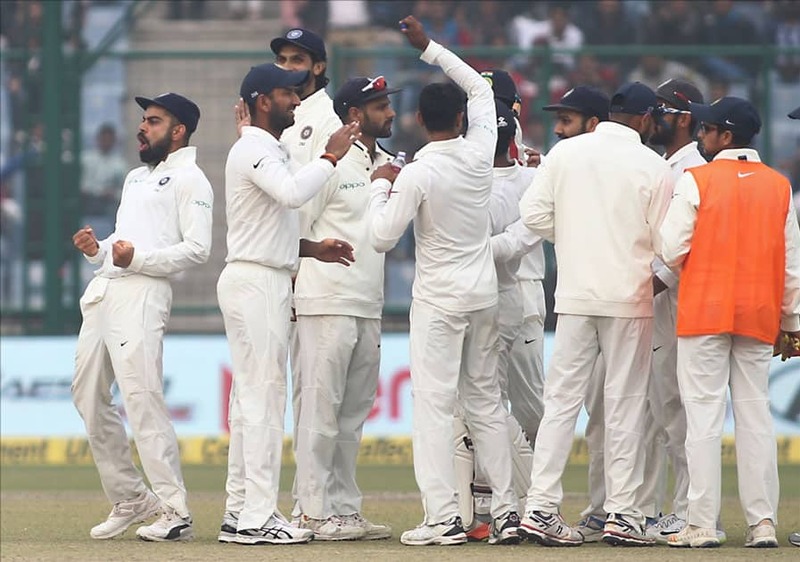 Indians celebrate Dilruwan Perera's wicket on Day 2 of the third test match between India and Sri Lanka at Feroz Shah Kotla Stadium in New Delhi. 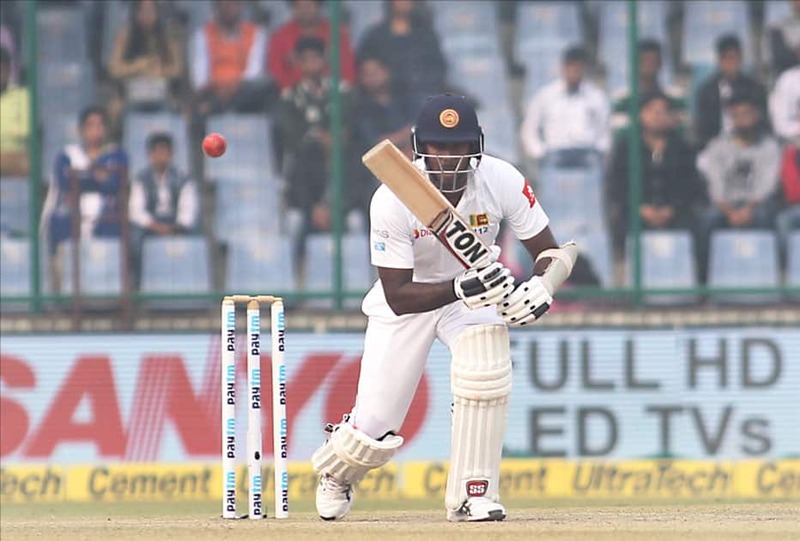 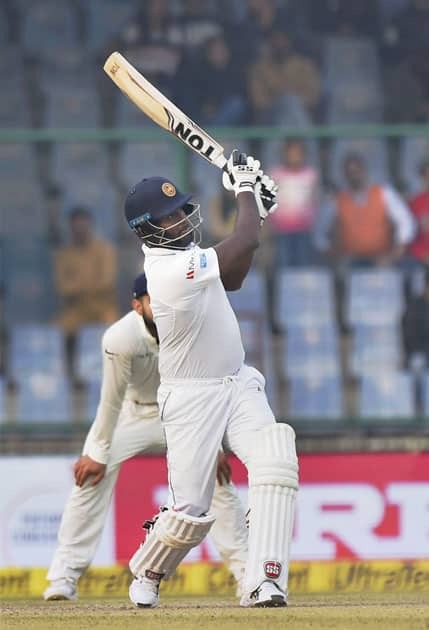 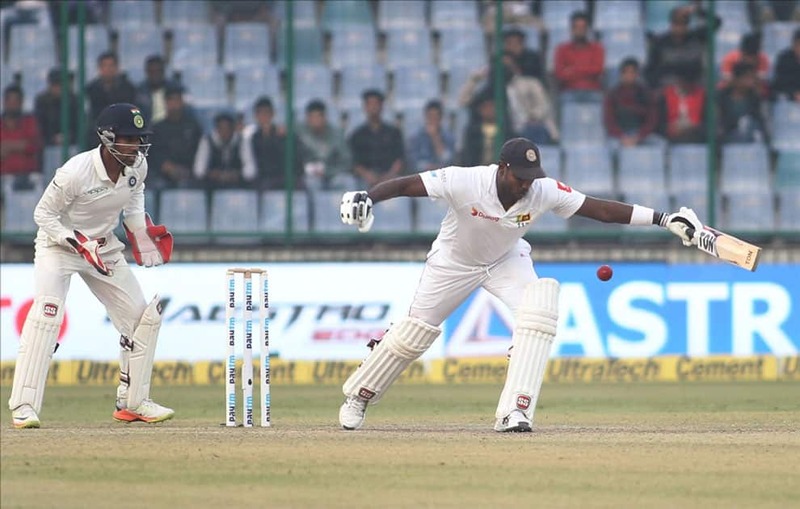 Sri Lanka's Angelo Mathews in action on Day 2 of the third test match between India and Sri Lanka at Feroz Shah Kotla Stadium in New Delhi. 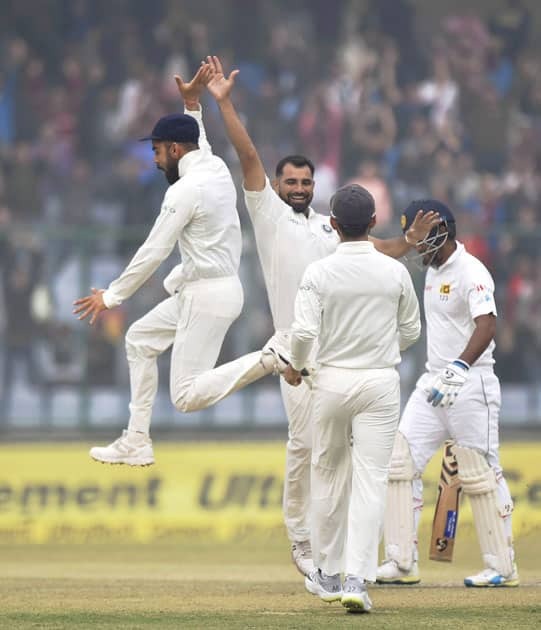 Indian bowler Mohammed Shami along with skipper Virat Kohli and a teammate elebrates the wicket of Sri Lanka's Dimuth Karunaratne during the second day of the third cricket test match at Feroz Shah Kotla, in New Delhi. 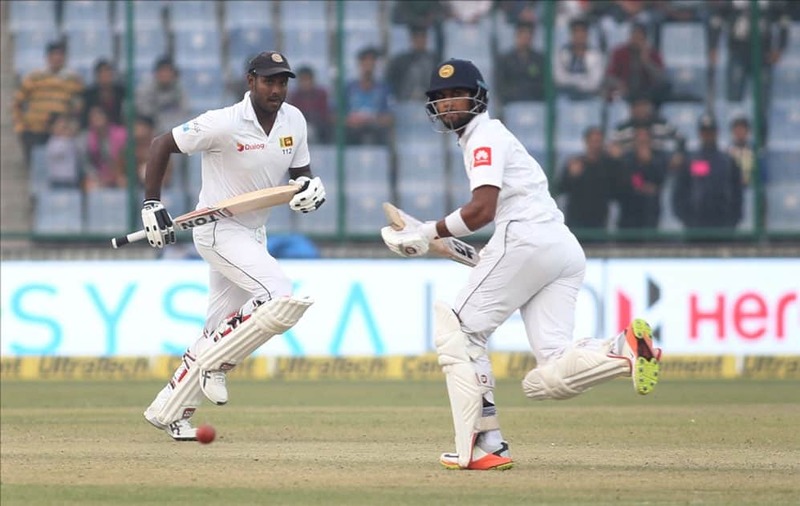 Sri Lanka's Angelo Mathews and Dinesh Chandimal in action on Day 2 of the third test match between India and Sri Lanka at Feroz Shah Kotla Stadium in New Delhi. 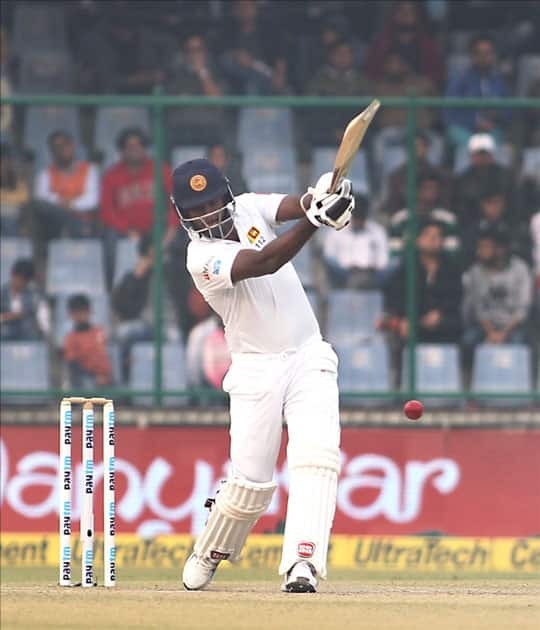 Sri Lanka's Angelo Mathews plays a shot during the second day of the third cricket test match against India at Feroz Shah Kotla, in New Delhi.